This vent helps prevent water from entering the fuel tank, yet allow air to vent freely during normal sea conditions and washdowns. 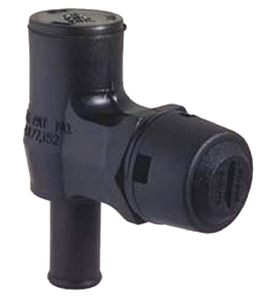 This eliminates the need for anti-siphon loop in the vent hose. Meets ABYC Standard. Installs easily and permanently Made of flame-retardant black plastic with choice of black, white or stainless steel vent head/cover.